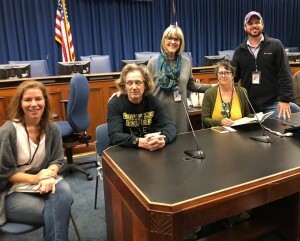 She wanted to help families of loved ones with dementia understand the disease and the reasons for the treatment approaches in place in the nursing homes where their loved ones were residents. 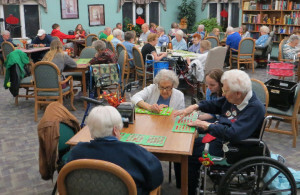 There is often tension between the residents’ families and the nursing home employees, and Severson’s book addresses those issues. 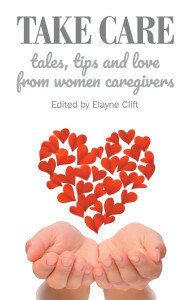 My other motivation for writing Look, I Shrunk Grandma, a Psychiatrist’s Guide to Nursing Homes, Dementia and End of Life came from seeing persons with dementia suffering. 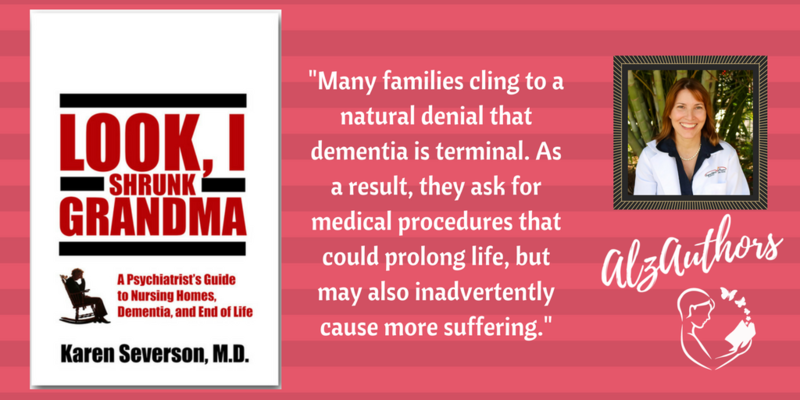 Many families cling to a natural denial that dementia is terminal. 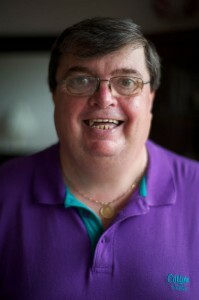 As a result, they ask for medical procedures that could prolong life, but may also inadvertently cause more suffering. When stopping numerous interventions were suggested, we have been accused of being heartless or cruel, allowing someone to die. 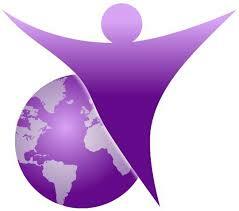 With the experience from my mother’s death, I wanted to do what I could to decrease end-of-life suffering. Just a few days before this new book was introduced on the AlzAuthors.Org site, I read a special report in the July/August AARP Bulletin: “Our Goal: Disrupt Dementia.” One of several articles within the feature is Thomas K. Grose’s piece “The Pursuit of A Cure for Dementia.” Grose explains about the Dementia Discovery Fund (DDF), a London investment fund that was set up in October of 2015 to “provide money to small companies seeking to discover novel therapies to stop or slow the onset of Alzheimer’s disease and other types of dementia….” There’s lots of good information in this special report—well worth the read. 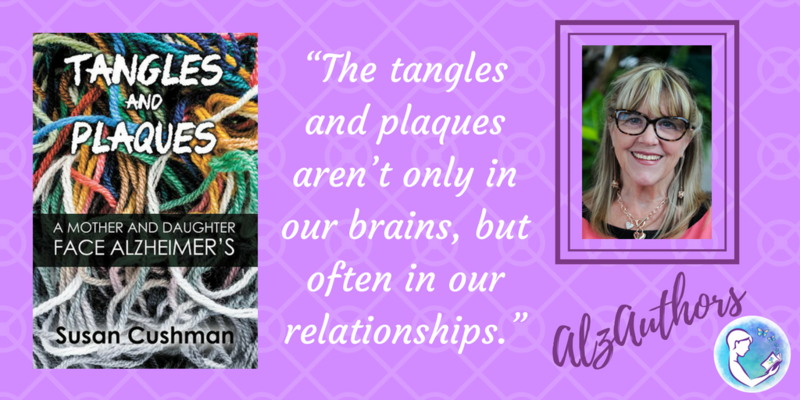 My mother died from Alzheimer’s two years ago, and I wrote about her struggles with the disease and my relationship with her during the final decade of her life in my memoir TANGLES AND PLAQUES: A MOTHER AND DAUGHTER FACE ALZHEIMER’S. And her mother died from Alzheimer’s. 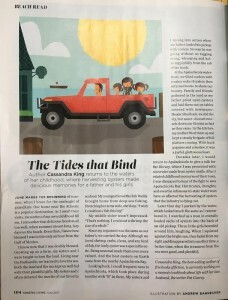 I was familiar with this type of dementia, but I had never heard of Lewy Body Disease until two friends both were diagnosed with it. One has been in a nursing home for some time now, and the other is at home with 24/7 care from her husband, with part-time help. McNamara talks about some things in his book that I was not aware of before, including the experience of vivid hallucinations and night terrors. The disease, as he points out, isn’t a “one size fits all” type of thing. If you or anyone you know has a loved one with dementia of any type, please share these links with them. 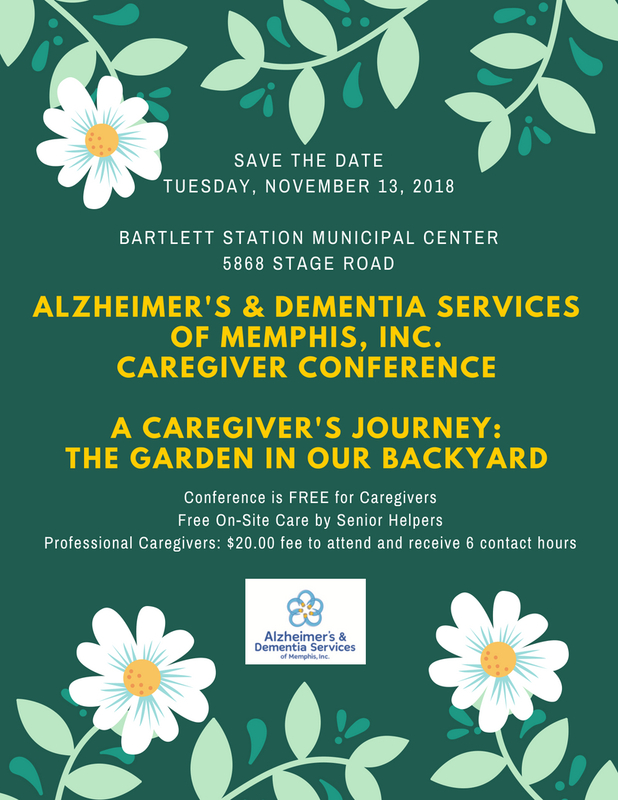 I will be speaking at the Alzheimer’s and Dementia Services of Memphis’s annual conference on November 13, and I will continue to look for ways to learn more about this disease and share my knowledge and experience with others. I recently watched an old Willie Nelson movie, “Honeysuckle Rose,” about Willie’s infamous road trips he took with his band. 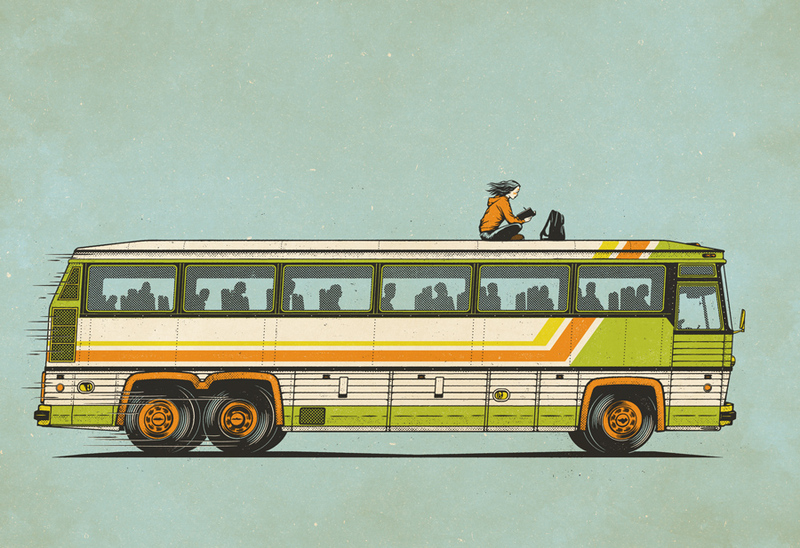 They kept playing his song, “On the Road Again,” and I can’t get it out of my head. I’ll probably be singing it next week when I get on the road again for another leg of my spring book tour. Where to this time? 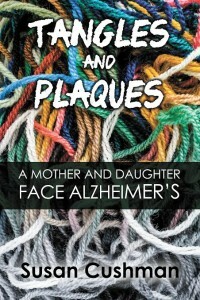 Next Tuesday I’ll be headed down to Fairhope, Alabama, where I’ll have a reading/signing at Page & Palette (4 p.m. April 4) for Tangles and Plaques: A Mother and Daughter Face Alzheimer’s. My hosts will be my author friends, Suzanne Hudson and Joe Formichella. I love Fairhope and April will be a beautiful time of the year to be there! 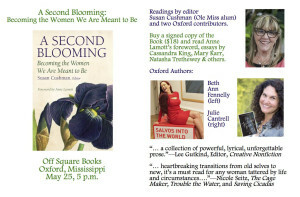 Thursday I’ll head back up I-55 to Jackson, Mississippi, for another event for A Second Blooming, again at Lemuria (5 p.m. on April 6). I’ll be joined by Jackson residents Susan Marquez and NancyKay Wessman, who will be sharing their stories of second bloomings after loss. Two weeks from tomorrow I’ll drive up to Dyersburg (Tennessee) for the Dyersburg State Community College Women’s Conference (April 18) where I’ve been invited to speak about my journey as an author. 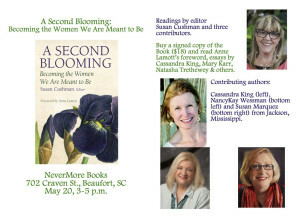 I’ll talk about my writing and publishing career, and have an opportunity to sell copies of both Tangles and Plaques and A Second Blooming. This event usually attracts about 80-100 women from the Dyersburg area, and includes a luncheon and fashion show. I’m so happy to be included! 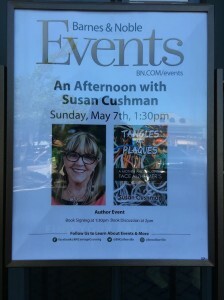 And that will wrap up my April book tour. 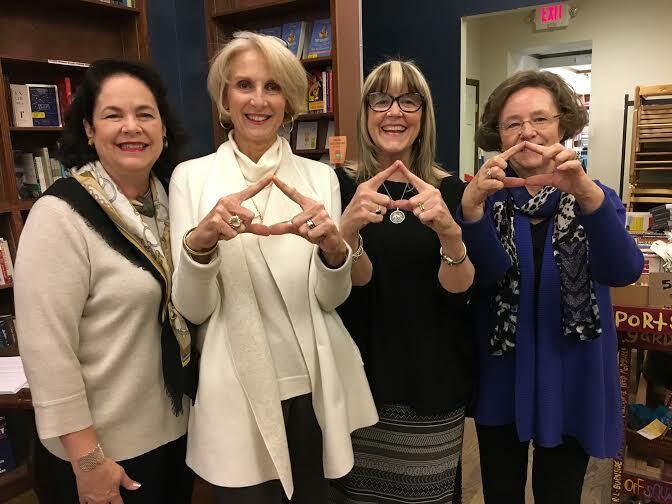 Stay tuned next month to hear about the five events I have planned in May, with travels to Charleston and Beaufort, South Carolina, another event in Oxford (Mississippi), and two local events in the Memphis area. 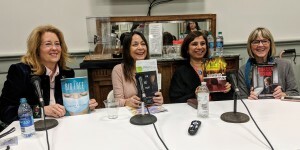 I’ll keep all of these posted on my EVENTS page (just click the link at the top of the home page of my web site) so you’ll know when I’ll be in your area. 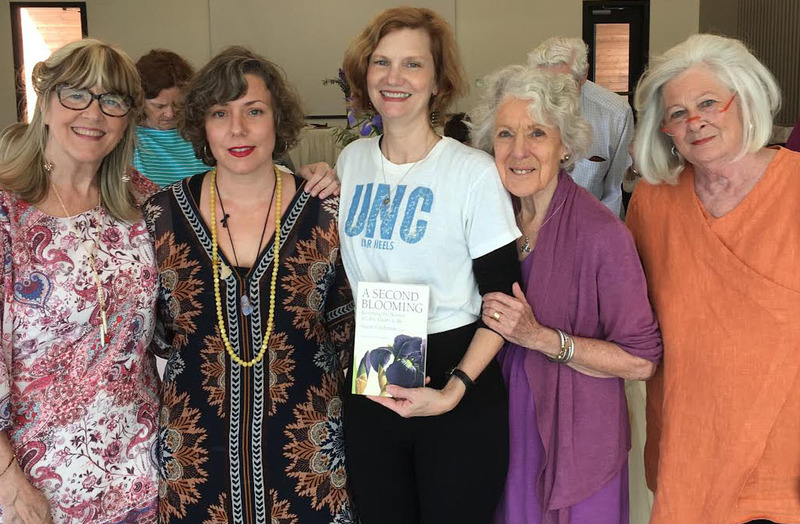 I’ll close with a picture of me with the Memphis contributors to A Second Blooming, at our event at Memphis Botanic Garden yesterday. 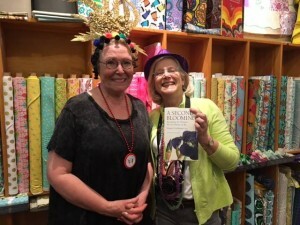 It was a beautiful day and lots of folks came out for the event (we sold 50 books!) and we had a great time. 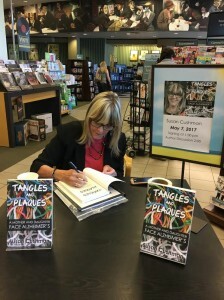 Thanks so much to everyone who came and purchased a book. I hope you LOVE it! And thanks to Chapter 16 for getting a review into the Commercial Appeal yesterday morning, just in time to bring in some more readers. As always, thanks for reading. I can hear Willie strumming that guitar again…. 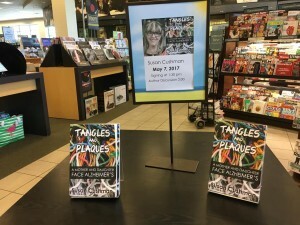 Yesterday was release day for my first book, Tangles and Plaques: A Mother and Daughter Face Alzheimer’s. After 24 hours of emotional celebration, I woke up today thinking, “and now the reviews will begin.” A few months ago I clipped this cartoon from the newspaper, hoping that one day I might get a 5 star review. 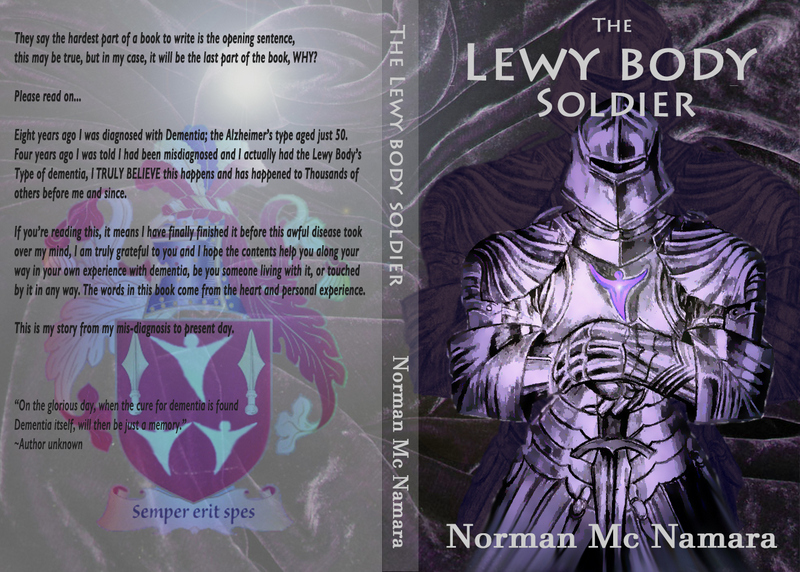 My book has been sent to several professional reviewers, and then of course there are readers who might review it on Goodreads or Amazon or their personal blogs. 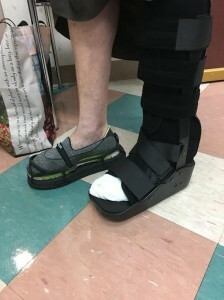 I’ve reviewed many books on my blog over the years, so I know what it’s like to be on the other side of the experience. But how should I gear up for reading other people’s reviews of my book? A writer should not respond to his or her critics. A writer should rise above in radiant aloofness. Art is long, and life is quite long too. There will be other books, other nasty critics, and with them, a myriad of other opportunities to maintain a dignified silence. I imagine that my little book won’t garnish reviews in either extreme, but who knows? At this point, I think I will welcome any words from someone who takes the time to read the book and respond in print. Of course I’ll post links to the good ones. We’ll see how I respond if there are any bad ones. 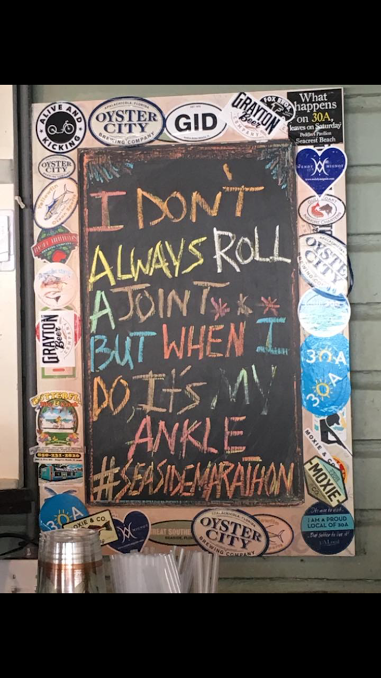 Holding my breath….